Ever wondered what enjoyment and satisfaction thousands of Australian get from a National Tree Day? National Tree Day and Schools Tree Day combine to make Australia’s biggest community tree planting and nature care event. 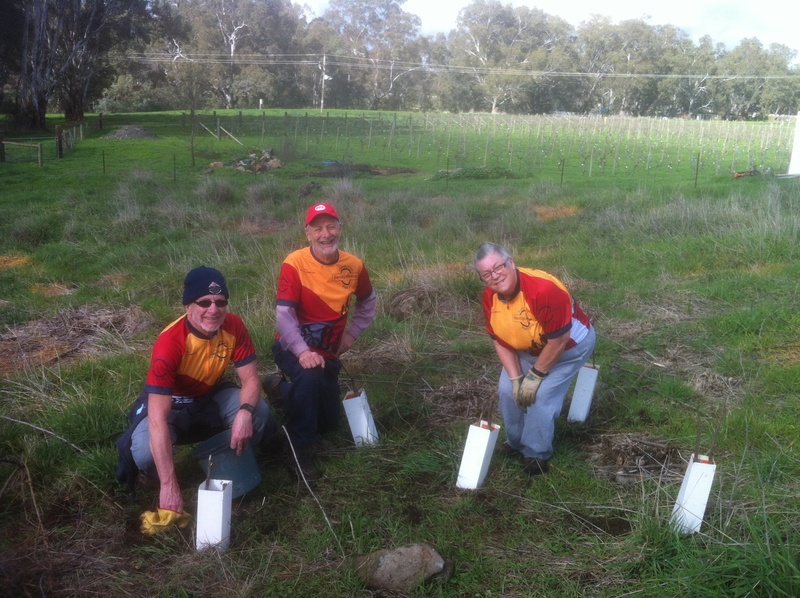 The Longlea and District Landcare Group and Plant Ark invited community members to take part in National Tree Day plus clean up a section of the O’Keefe Rail Trail near Axedale. Supported locally by the Axedale River Reserve Committee of Management, Axedale Our Town Our Future Committee, the Friends of the Bendigo-Kilmore Rail Trail, Axedale Primary School, and the Axedale CFA, it was a great community activity on Sunday 31 July 2016. 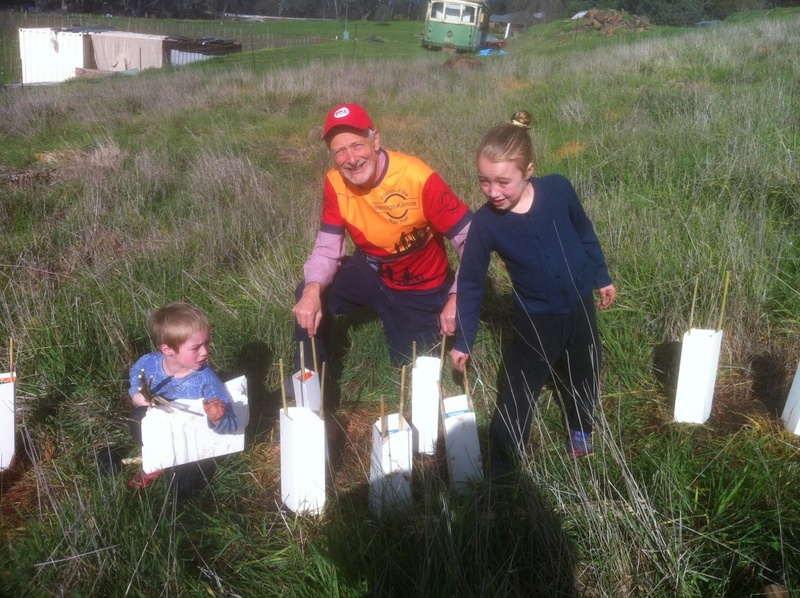 Approximately 250 trees were planted by school children on the Thursday, then the Sunday had Landcare members, local residents, and O’Keefe Rail Trail Friends members planting a further 750 trees along the Campaspe River reserve at Axedale. After the volunteers enjoyed a free BBQ lunch, unfortunately an amount of rubbish suspected of coming from highway vehicle users, was also collected from along the highway reserve and the O’Keefe Rail Trail. Overall it was a special day for the local community, to help planting and caring for native trees and shrubs to improve what is an amazing natural river environment.